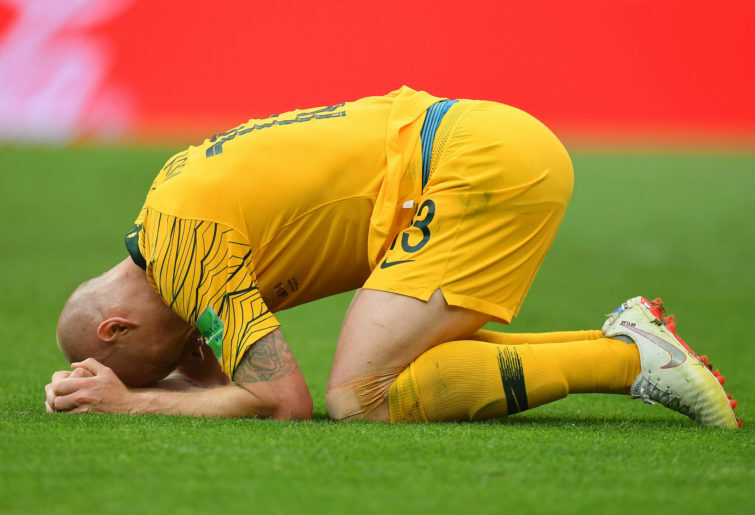 There has been a creeping feeling that Aaron Mooy’s value to the Socceroos is less than it would seem. Yes, Mooy is playing in the Premier League, probably the best league in which any Australian abroad is playing. He is a regular starter for Huddersfield, and has been for the past three seasons. He is a central midfielder, a critically important position in a team, around whom an entire tactical system might revolve, and upon whom the team’s fluency might rely. He’s proven himself in the A-League, and in England. It could be comfortably argued that he’s our best player. Click here to re-live The Roar’s live coverage of Socceroos vs Lebanon. And yet, upon closer inspection, and assessing Mooy’s – and Australia’s – strengths and weaknesses holistically, a different conclusion is reached. Mooy is not an athlete, and at times can look outright cumbersome. His passing range comes alive when he is given space and time, but when he is denied those pleasures, it’s almost as if the field becomes clouded, and the conservative pass is the only one visible to him. Invariably, against the better international teams – or in the more fraught situations, like tense qualifiers or knockout ties – he isn’t allowed breezy time on the ball. There’s a half-second, maybe longer, that Mooy appears to need after receiving the ball, to gather himself, or turn to face the scene ahead, before he pulls the trigger on a pass. This is an indulgence that is either not afforded to him, or when it is, the defence uses that pause to take away the potential passes. Whether this is a consequence of listless movement – as in, not finding large enough pockets of space that bloom and contract in the midfield – or a failure to twitch suddenly into an alert and actionable state, is hard to tell. Perhaps it’s simply the fear of committing an error, or lurching unwisely into a reflex action. But just as a boxer cannot hope to survive if they pause and consider every punch thrown or dodged before throwing or dodging, a footballer, especially a midfielder, cannot hope to ponder in this way either. Football is at its best when it is played partly on the knife edge, when flutters of instinct flash across the pitch, when the risk of shooting from the subconscious hip is embraced and the insulating straitjacket of caution is torn off. It’s also hard to tell to what exact degree Mooy has been straitjacketed by the system in which he’s placed. Clearly, at the World Cup, Mooy was told by Bert van Marwijk to strictly hold the position of a No.6, to play with caution, to pass frequently but unambitiously, and to value defensive positioning and risk-minimisation above any impulses to lead some daring sortie into attack. Huddersfield are third-bottom for through-balls played in the Premier League this season, but are mid-table for backwards passes made, and second overall for long balls. They’re also third for crosses hit per game, and yet have scored the fewest goals in the division. On average, the Terriers have markedly less of the ball than their opponents, and show all the signs of being an inefficient, hopelessly blunt attacking team. They look at perilous risk of being relegated this season. This is the context in which Mooy operates at club level. But, to more immediate national matters. “Aaron will play more as a 10,” Graham Arnold said before Australia’s match against Lebanon in Sydney last night. Mooy was to fill the same role in Arnold’s system that Rogic occupied against South Korea. 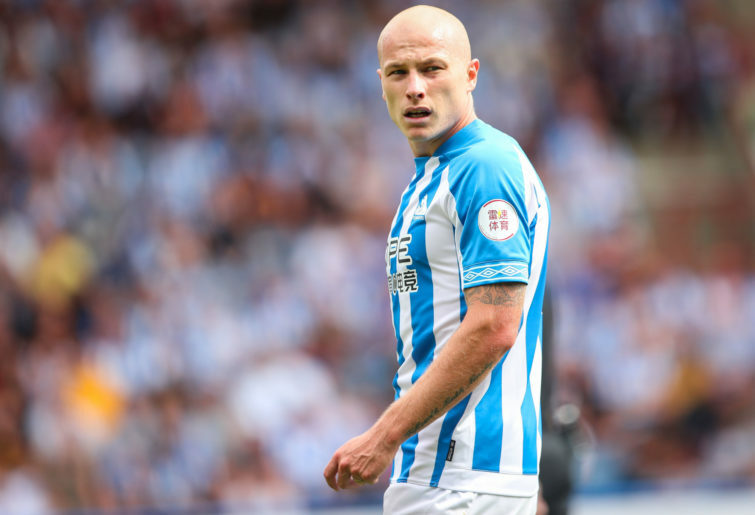 Playing in front of Mustafa Amini and Jackson Irvine – two players more than capable of offering all the positional and athletic support necessary – we would see how Mooy would take up a more attacking brief. Relieved of a huge portion of the defensive burden, would we see an unshackled Mooy, creative, vivacious and incisive? Martin Boyle was busy and eager ahead of him, as was Awer Mabil. Boyle was showing an ability and appetite to beat his defender, traits that make him a very welcome presence in this newly adopted team of his. He smacked in a goal after 18 minutes, driving inward from the left, feigning a shot to rid his line of sight of a defender, before lacing the ball. A deflection made a save almost impossible. At times Mooy seemed, in the early stanzas, to be drifting back into his defensive half to collect the ball from the centre backs, a normal rhythm for him – in his normal role that is. In other moments he took up the position Rogic did in the last game, almost level with Mabil, Boyle and Tomi Juric, the striker. At risk of a nosebleed, Mooy must have felt most unusual placed as high as that. Aaron Mooy (Photo by Matt King/Getty Images). Lebanon had assumed a deep defensive stance, one that Australia will see often in Asia. Operating exclusively on the counter – they threatened only once or twice in the first half on the break – the Cedars were pressing only when Australia entered into their half, and even then were allowing the hosts to venture deeply before meeting a red resistance. They are not a good team, to be frank. Mooy combined neatly with Aziz Behich after half an hour, a move that freed the left back, who set up Mabil to shoot. Mooy is more than capable of acting as a well-greased hinge for teammates to play around, as he did in this sequence, a stationary fulcrum that can collect and release one-two passes with the proper weight. Boyle toed in a second goal, tapping in after Milos Degenek’s wide open header crashed off the crossbar. Mooy had sent a corner in, with Lebanon seemingly unaware of their cue to defend, such was the freedom and space Degenek enjoyed. 2-0 at halftime, but outside of the pleasing lead, Australia had not attacked fluently. Boyle’s interventions were two sharp raps on the snare that had pierced through what had been an fairly arrhythmic half of football. Certainly the opening section of the half was nowhere near as good as the equivalent period against South Korea, when Rogic had sparkled. Another of Mooy’s limitations, one that is more exposed the further up the pitch he gets, is his footspeed; where Rogic can disentangle himself from a flurry of tackles with a flick of the heels, Mooy often seems, in comparison, to be playing in mud. To give an example, where Mooy is forced back here, one feels a more fleet-of-foot attacker would be splitting the two defenders and bursting infield. It’s only a minor criticism, but when space is tight and tackles are flying in, the ability to manipulate the ball swiftly and with precision can make or break an attack. If the second half began more evenly, it was only because Lebanon had raised their will to attack above the near-insensate level they’d managed in the first. By the 57th minute, Australia had lifted 36 balls into the Lebanon penalty area, and had taken 14 shots; only five had been struck on target. It isn’t fair to characterise a player using a single play, but I would suggest the following sequence is typical of the less desirable parts of Mooy’s game; here, having drifted around the midfield, Mooy is eventually picked out by a very nice pass from Amini, spanked past a number of defenders. Mooy now has the full vista expanding out ahead of him, and Rhyan Grant makes a run. You can almost hear – even in this silent GIF – the cogs turning in Mooy’s mind. It’s there, right there, the correct pass, just hit it. It’s excruciating to see Mooy see the run, hesitate fatally, then with a sigh lay the ball off to the nearest lateral passing option. Matt Leckie came on for Mabil, and scored with his first touch, just about. Mooy had been involved in the build-up – laying off the ball to Boyle, who crossed for Leckie’s stinger half-volley – and although it’s hard to fault a player for having taken part in a fruitful attack, it was what Mooy didn’t do that was most illuminating. You can see here that having received the ball, there’s a perfect opportunity for Mooy to play in Leckie; he’s right there, to Mooy’s left, pointing to where he wants the pass. The defender’s back is turned, barely aware of the threat Leckie poses. Mooy has plenty of time to play the pass. Is he aware of Leckie as an option? The close up replay implies that no, Boyle was always Mooy’s preferred target, instinctively selected as the first-choice option: he’s closer, and the pass is safer. He makes the pass to Boyle. Boyle’s cross was good, and Leckie’s finish was excellent, but it was all made harder than it would have been had Mooy made the pass direct to Leckie. A leaning, half-volley, connecting with a speared, curling cross through traffic, was not the ideal way to score there. The pass to Leckie would have been harder, and decision to play it made quicker, but that’s what No.10’s are meant to do. Mooy was eventually subbed off for the man of the evening, Tim Cahill. Mooy does so many important things well. His ability to dictate a steady pace from midfield is excellent. His decision making is almost never reckless. His set piece delivery can be great. He would be perfect in a team that was more potent than Australia currently is, a team that, after scoring, needed a player to control a game, if not quite actively add to the lead. 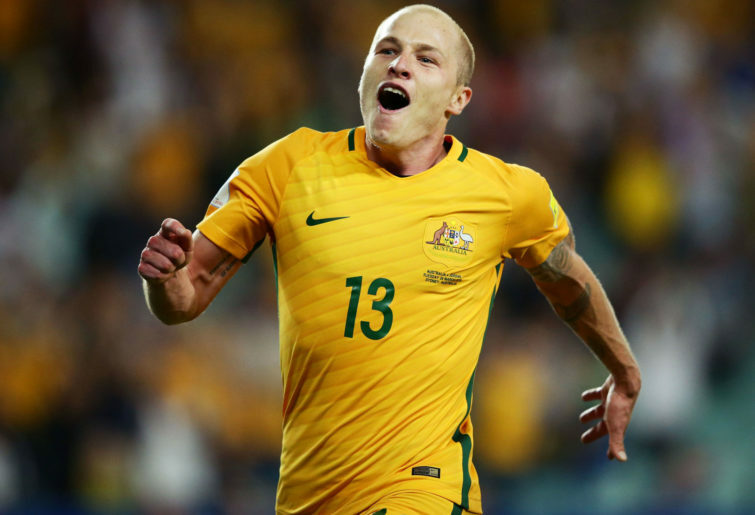 But for the Socceroos, it will be a concern if Mooy is required to shoulder more than a small portion of the attacking burden. Even here, against a bad team, on a good pitch, and played in an advanced position, he did not excel. There’s a subtle chemistry to football, and elements must be balanced. Mooy might be our best player, but if what he offers isn’t what the team needs, his place must be considered. Evan Morgan Grahame is a Melbourne-based journalist. Gleaning what he could from his brief career as a painter, the canvas of the football pitch is now his subject of contemplation, with the beautiful game sketching new, intriguing compositions every week. He has been one of The Roar's Expert columnists since 2016.